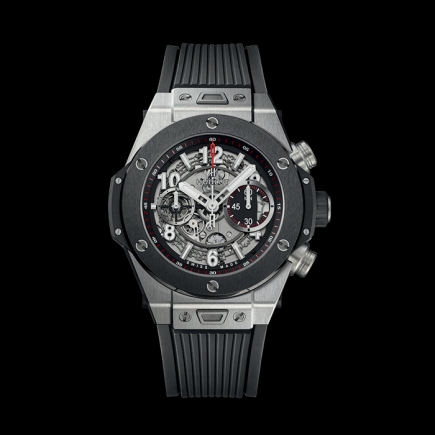 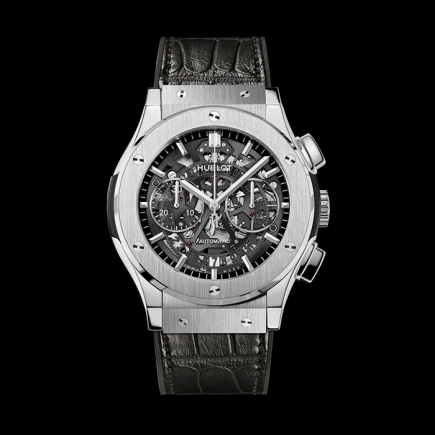 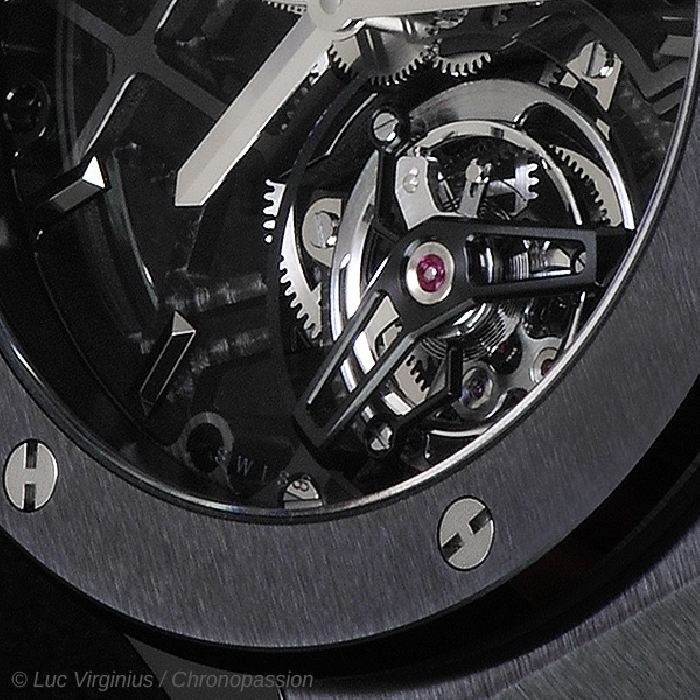 hublot | 89'000 € Tax inc.
A black ceramic skeleton tourbillon watch with a slimmer, more classic profile, but which features an all-black design in line with Hublot's graphic codes. 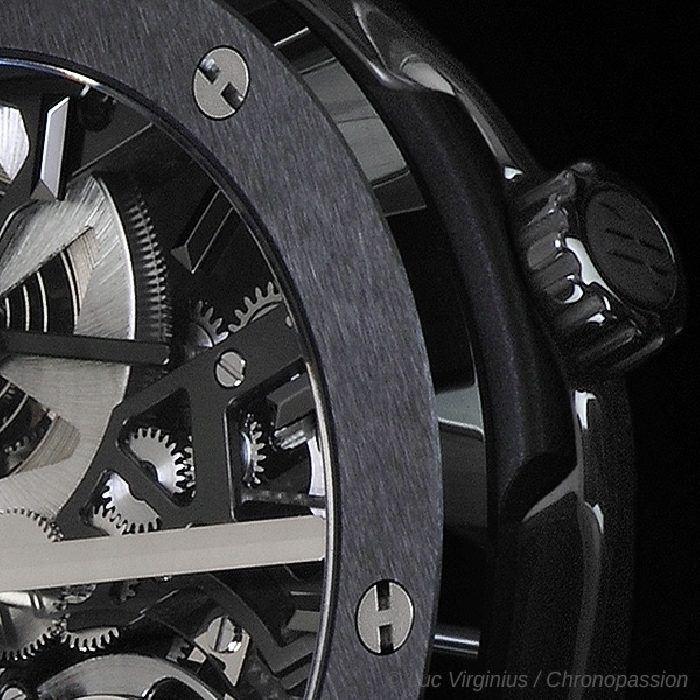 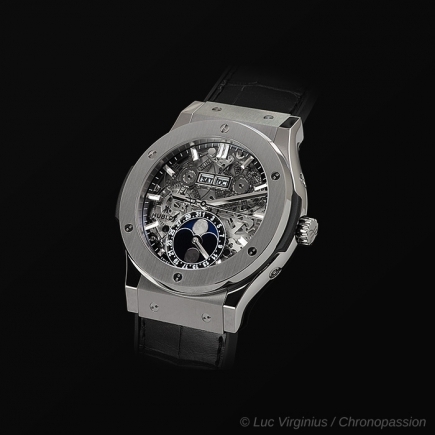 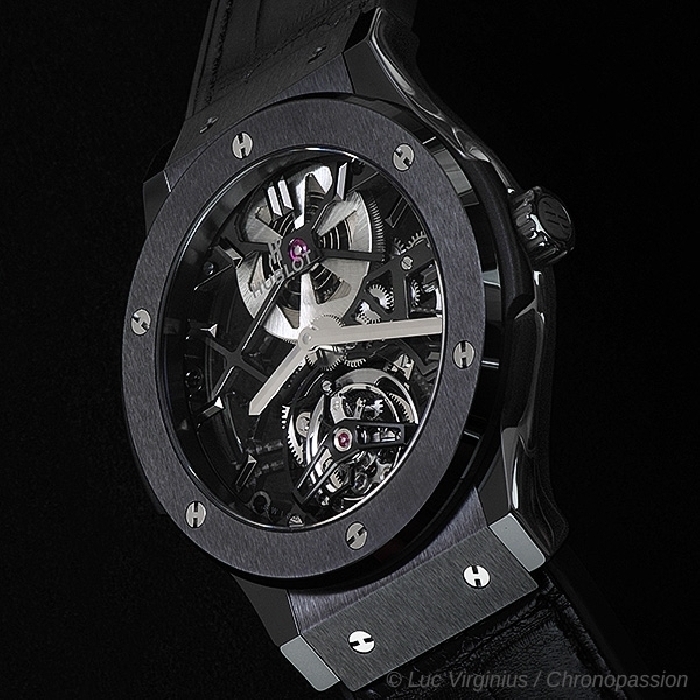 We present the Classic Fusion Black Ceramic Skeleton Tourbillon, one of Hublot's major new arrivals for the start of 2013. 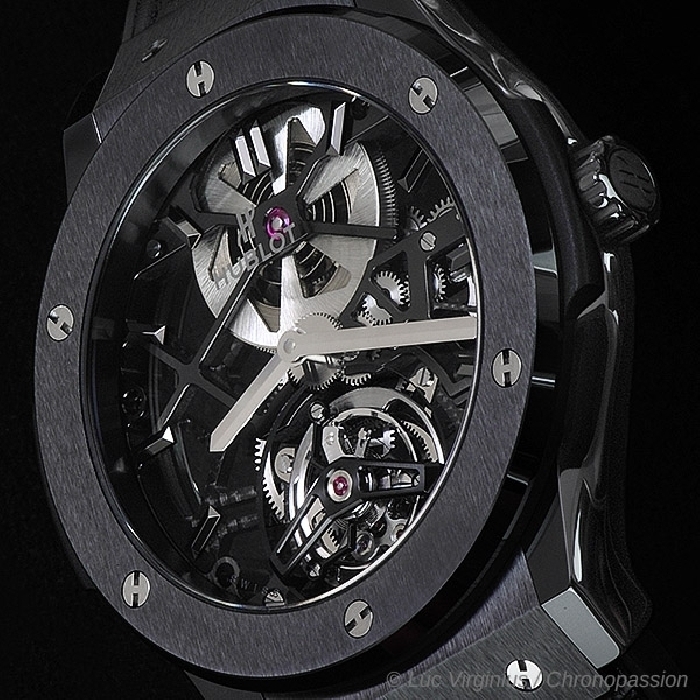 Sleek and contemporary but with a timeless elegance drawn from traditional watchmaking values to create one of the kings amongst complications, this piece is truly striking with its satin-finished and polished black ceramic case and resolutely graphic skeleton tourbillon movement, designed, developed and produced from start to finish in the workshops of the Hublot Manufacture. 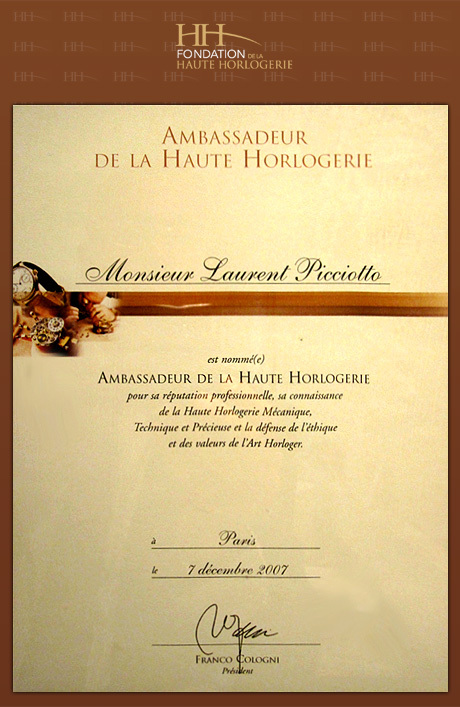 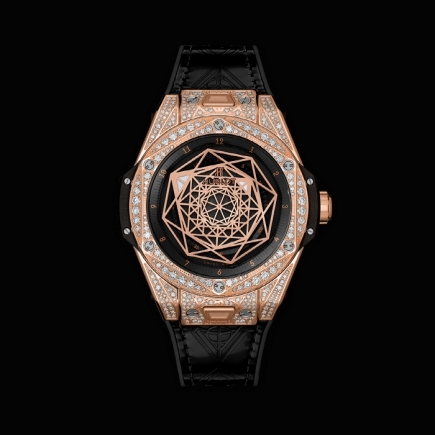 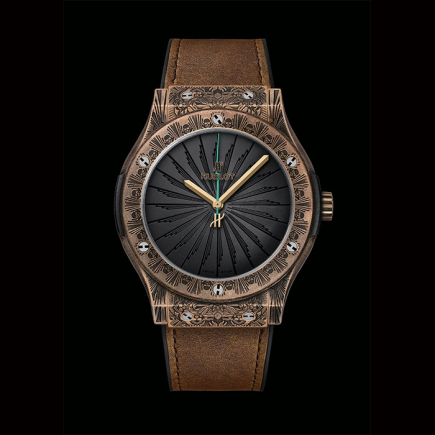 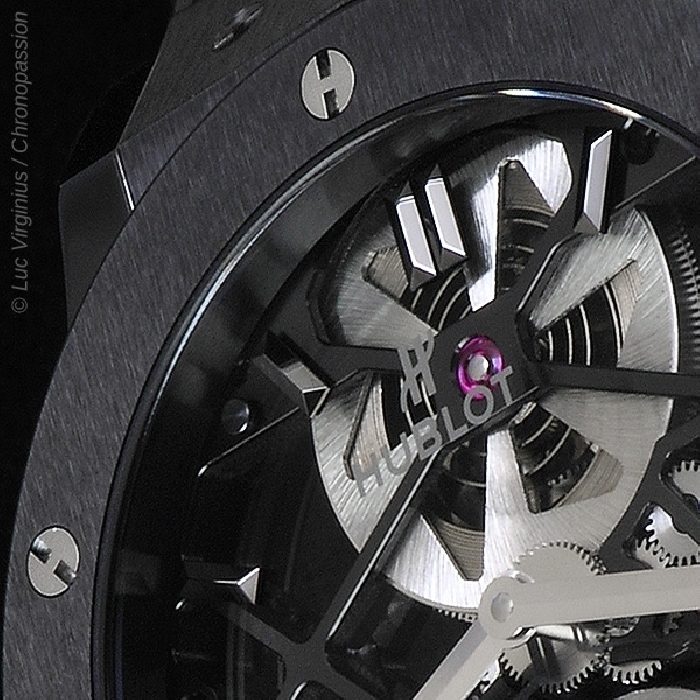 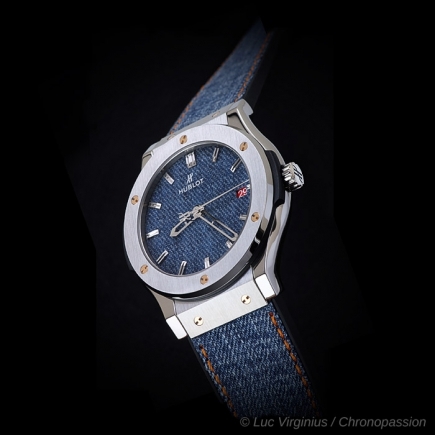 On the dial, it is worth noting that the hands are similar in design to those on the very first Hublot watches: a clever reference to the history of the brand. 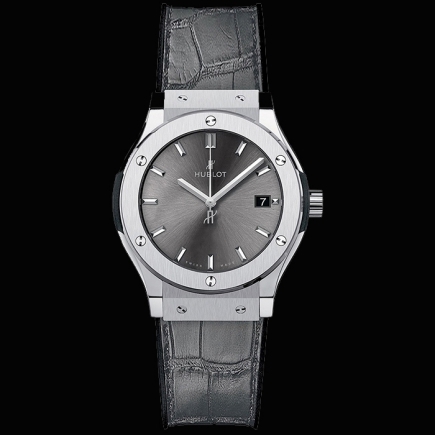 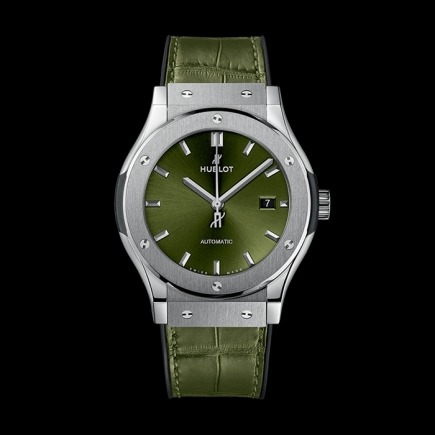 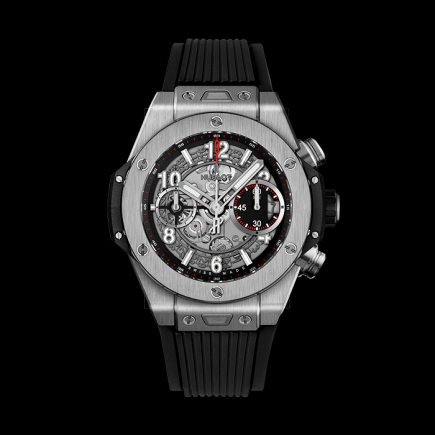 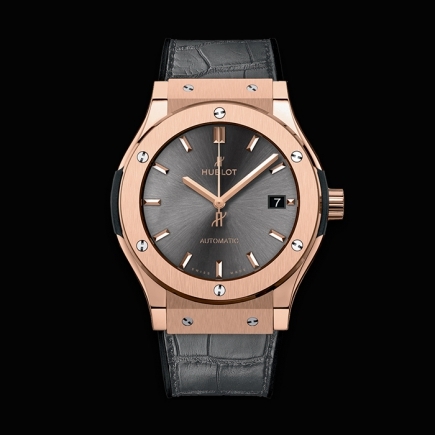 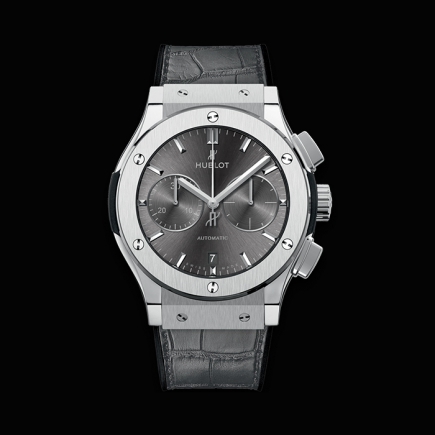 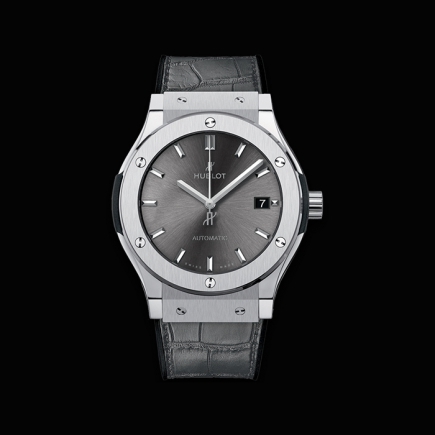 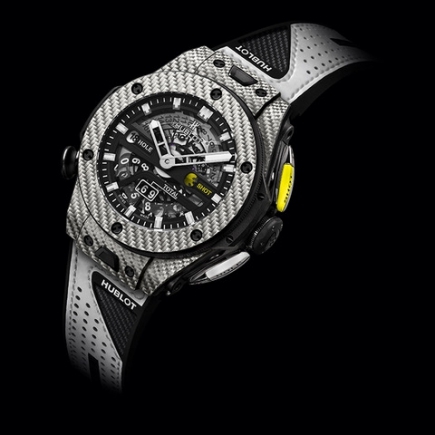 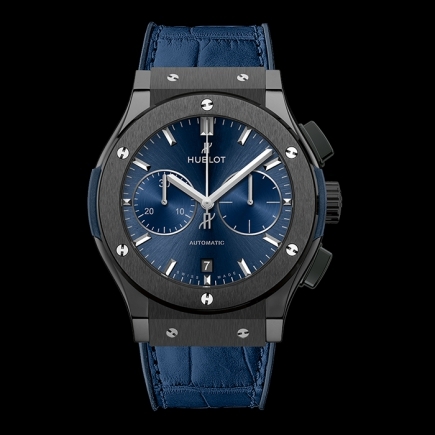 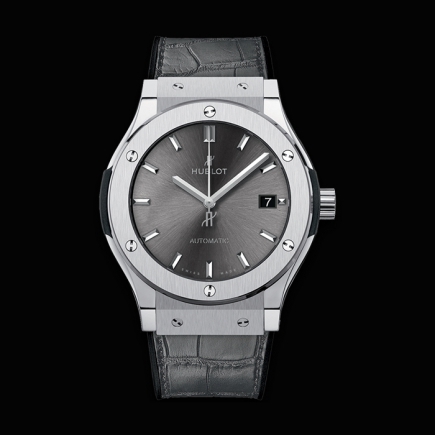 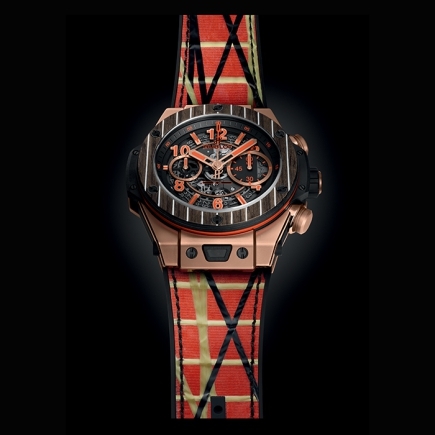 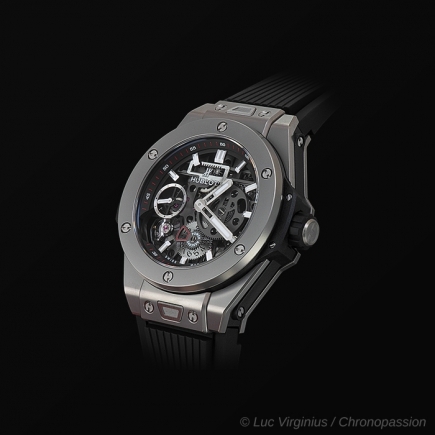 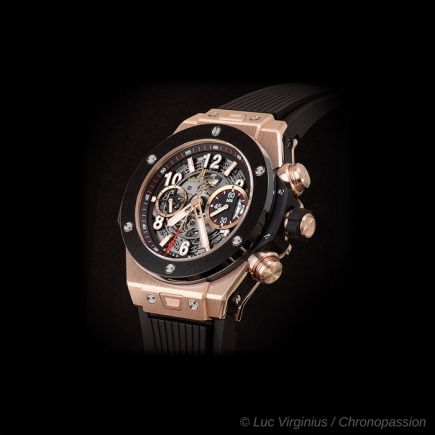 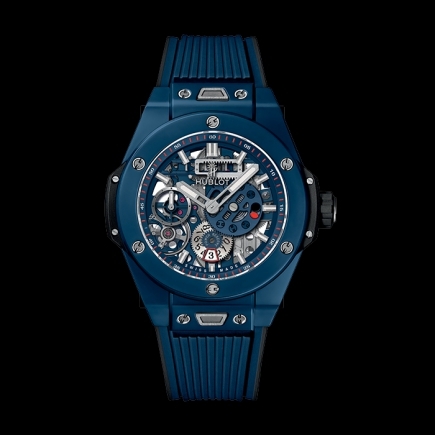 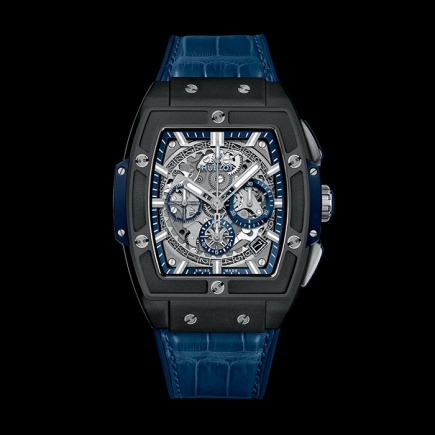 This timepiece benefits from a 120-hour power reserve and is watertight to 30 metres. 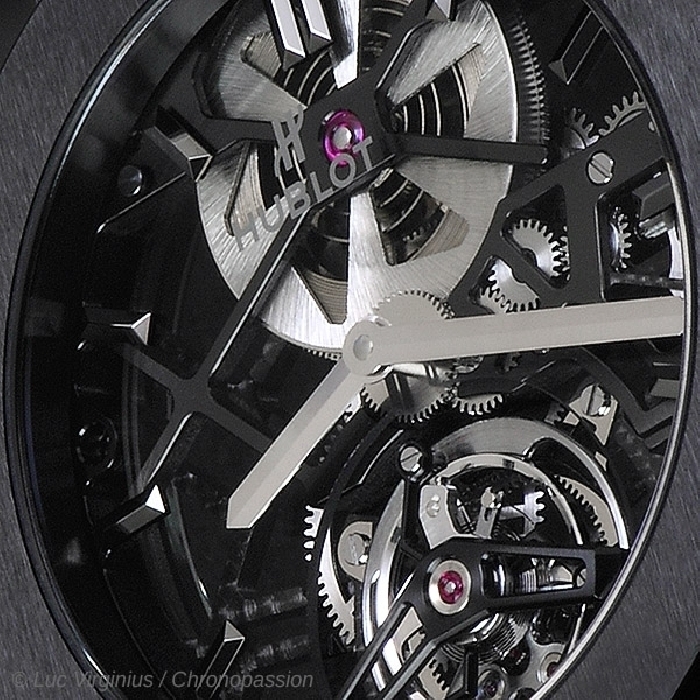 With the tourbillon's classic style and the ultramodern, sleek black design, this limited series comprising just 99 numbered pieces perfectly demonstrates the principle of fusing tradition and modernity, outstanding craftsmanship and 21st century creative vision in watchmaking.